Today is the final day of IHAN's Beam N Read Blog Hop and its finally my turn....hey who put me at the end of the list? I want to talk to someone about that. It has been tough reading all the great posts this past week reviewing the Beam N Read Hands Free Light and knowing I had to wait until the last day to post. At least I'm not alone....Patsy Thompson is reviewing the Beam N Read 6 LED Hands Free Light today too (make sure you head over and leave a comment on her blog too :). I use my Beam N Read to illuminate my hand stitching projects but I also have to share it with the IHAN clan too. Typically it is in my stitching bag but it does periodically disappear. Because it is so bright I typically can find it quite easily....even when little robbers don't' want to be found! Apparently there is a particular co-worker who thinks "lights out" refers only to the bedside light. Playing with Lego's seems to be more fun than going to sleep. Then there are always those times when you get the hankering for some fresh raspberries and you have to go out back to pick a few after dark. That Beam N Read Light should be called the "Beam N Eat Light" here at IHAN. Sometimes a box of cereal is not just a box of cereal ya know. There are lots of creative places to hide stash (Tim Tams, Chocolates....any treat that is shelf stable)....but .....there is one really smart gal who would never take any risks with her "stash"!! When all the lights in the house are out and I'm certain there is no thieving quilters lurking about or peeking through the windows... I slip my Beam N Read Light over my head and I creep down to the kitchen pantry to check on my stash. Ahhhhhh....safe and sound....oh yeah baby! Sure you laugh....but Kate Spain's Terrain doesn't ship to Quilt Shops until September soooo this is one coveted layer cake and I'm not taking any chances!!! "Hmmmmm I better be sure I've grabbed the right can." .....are you ready for this one? Ok then....make sure you are having fun while stitching!! I honestly think that is the most important thing....to just have fun. Another thing I have found quite helpful is getting a consistent 1/4 inch seam allowance. Especially for beginners...I think this eliminates a lot of frustration. Simple, yet true. I love that special spray can you have. WNow I wonder if you have them in your shop? Maybe I need to come and raid your food stash??? My Beam N Read will light the way just leave your door open! Thanks for such a fun post! had me laughing with my morning coffee! thanks for the hop and the giveaways! Love, love, love that Kate Spain fabric. Yummy!!! Thanks for the chance to win the light. Thanks for the entertaining post! I am so jealous that you have a Terrain layer cake -- that must be the best "cake" ever! Good idea to hide it. You are so funny. Thanks for sharing the lights but more importantly thanks for the idea of sharing goodies in cereal boxes. There are several cereals that I love and hubby & daughter hate...hehehe...I know they won't look there. Another great post! Your posts are always so fun! Thanks to you and Bob for such a wonderful giveaway and a chance to win! What? No crazy requirementst to enter? No " you have to be a follower and send your firstborn child to me to sell as a slave in Borneo" ? LOL. Thank Kelly. And thanks to Bob also. I think I have hit them all - but I am not sure. I hope I win one of these babies! Tim Tams are no longer allowed at my house. Period. One package jumped into my cart yesterday (the double dipped variety) and suddenly disappeared shortly thereafter! They're evil, I say!!!!! Thanks for the fun read post. I so enjoy a good giggle, especially in the morning to start my day. The light would find many uses at my house. Great giveaway. Fun post!! Thanks for the chance!! The Beam and Read really sounds like a must have notion. It would be fun to have so hope I am a winner...if not maybe a big hint for my September birthday would land one at my house. You are too too funny! That Beam n Read would be fantastic to help me see the needle while hand quilting. The Beam and Read light is a wonderful creation. My eyes really needs this light when I am cross stitching or hand stitching my other projects. Thanks for the great giveaway. I was laughing at how you hide your stash in the Honey Nut Cheerios box. I love Cheerios, plain and Honey Nut. Would also love to win one of these lights. I am also one of your followers. Funny post! Thanks for the laugh. I do hope to win one of these great lights. The more I read this week, the more I can see my need. No idle hands here and you are right...the eyes aren't what these use to be...Thanks! Oh, I think I need one of these lights for my grandson as well as myself. He can drive his mother crazy staying up at night playing (the way she used to do to me). Whoever thought up this idea of blog reviews about the Beam N Read sure did a terrific job. I loved everyone's input and tips and reviews. Put me on the list anytime. I am really excited over my layer cake of Terrain that I just ordered from a site that got some early for sale. Beautiful and thanks so much Kelly for having such a wonderful giveaway and opportunity to win. Judy C in NC is sure hoping for a Beam N Read. LOL, my husband can be a "pest" too at times, are you enclosing a can for the winner ? I would LOVE to win this! These old eyes, are not what they used to be and this would be just perfect! Thanks for the giveaway! You always make me smile. Have a great weekend. I did laugh when I saw where you were hiding a bit of your stash. Too funny! Yes, aging eyes are no fun, so any help they can get would be wonderful. Thank you for the chance to win a Beam N Read. P.S. The magnifier would be a must have with it. Too cute!!! I will definitely follow your sewing tip. This blog hop has been so much fun!!! Can I come to your house & have some "Cheerios"???? That was too funny. I sure hope I win one of these fantastic Beam N Reads. If not, I will just have to purchase one. Thanks for the chance to win one. Thank you for the creative ideas for Beam n Read! Maybe we should put together a book of "off-label" uses for this amazing light! Gerat post. if I win can you toss a box of honey nut cheerios in it? Sure wish I'd had one of these when I was a kid trying to read anywhere and everywhere.... Now that my eyesight is getting "aged" I could use one even more! This is a must have for me, have enjoyed seeing other's reviews and seeing what it can do and how other's like it. I do need to read labels with my allergies and they make them so small, even with good eyes you can't read them. Thanks for the chuckle and also for the chance to win the eye saver ;-0 that is what it is right? I think I would have to hide my treats in the bag of broccoli in the freezer...no cereal box is safe in my house! But the light would still help me find it, thanks! Funny! Thanks for the giveaway! I love your hidden stash! That fabric is just gorgeous! Love the blog and your product reviews. Beam 'n Read sounds like a perfect addition to my needle turn applique kit. Thanks for the chance to win one. You know I'm older than some, but not as old as most, but my eyesight just ain't what it used to be, not saying that it was *ever* very good (heck, not even just plain good, either), but a Beam n Read seems to be just what I need. I have to double & triple check everything, just so as not to make any mistakes, 'cuz I can hardly see to unsew anymore! Sure hope I'm one of the lucky ones!!! Thanks to you & Bob & all your bloggy friends for sponsoring & hosting such a great hop!! Thanks, Kelly, for a fun blog hop with 10 great chances to win one of these terrific lights. Let it Shine! Let it Shine! I love where you're hiding your Kate Spain layer cake, but don't the boys eat Honey Nut Cheerios? Your too funny and this hop has been a blast. Thanks for the giveaway. If I win, do I get a can of that spray (The End, not the 505, though either would do) included in the box?? Also, I'm having a sudden craving for Cheerios!! Please leave the fabric inside the box and nobody gets hurt! lol Thanks for the fun blog hop this week. I could sure use one of those lamps! They look very handy to have. It's easy to tell you are a creative person, I think you had a ball doing this blog, thanks for the sparkle you put in my evening, or was that your little light, either way it was great fun! What a great post. I really love the way everyone did their own little review on how they would use this light. This has been fun. Thanks for the giveaway! This light looks like it would be a great addition to my sewing room. I would definitely use it at night when I do embroidery. Thanks for the giveaway and for the blog hop. noticed you're quilting the fishtales quilt. just gave the finished project to my hubby for his birthday...but i fmq'd it. sending the pattern on to my daughter's friend so she can make one, too and then knows who it goes to next. thanks for the chance to win something my old, old eyes would definitely appreciate!! Thank you so much for the giveaways. This light is just what I need to keep my husband company in front of the tv and still be able to work on my hand applique in the darkened room. I also love the cereal....I'm gonna have to rethink Lucky Charms being my favorite. Mayte some Kate Spain will materialize in a box of Cheerios in my pantry :) Happy 4th! Well - I don't buy that kind of cereal as I have never been a Cheerios fan (grew up on sugar- added chocolate cereals which may explain one of my addictions). Think I may have to try a box to see if the 'magic prize' is fabric (lol). Anyway, have enjoyed the tips and the visits. Thanks for the giveaway and chance to win something to help my poor tired eyes. Thanks for a nice laugh this morning, although I have to say I'm going to be disappointed whenever I eat Cheerios from now on--that fabric is gorgeous--I can see why you hide it! Thanks for making me laugh. Please enter me into the drawing for the chance of being able to see at night - if I win, I'm renaming the light to Beam-n-Sew! Oh, I do so hope I win one of these marvelous lights. Thanks for your generosity in providing all these prizes! I seriously want that cherrios box!! Now another fabric on the want list! As well as this light, thanks for the chance. 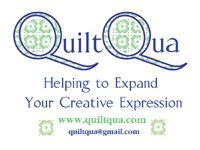 Hey also wanted to say thanks for doing the whole blog tour, this way Ive been introduced to a new to me batch of wonderful quilters and bloggers especially Patsy as Im just getting into applique and hers ROCKS! Thanks so much and happy holiday weekend. Im going to quilt! Yea! Thanks for having this . Loved your post! What a great light this would be to have. Thanks for the chance to win one. What a great giveaway! The Beam and Read looks like a necessary tool. Thanks for the chance to win this great light! I wish my cereal box had fabric in it! I would love to win that great light. I can see that a Beam and Read has to be protected from wandering hands! I would do my best to protect it! Thanks for the giggles, Kelly, this has been such fun! My kids would wear out the flashlight batteries "camping" in the sofa cushions and playing legos into the night! Good times! Thanks for the chance to win! That was a great idea to stash some fabric in the pantry! :)) Thanks for the fabulous giveaway! Playing with Lego IS much more fun than going to sleep. So you have one bright child. Your post was amazing and thanks so much for the chance to win this magnifying light. You know what the say, save the best to last and they certainly have with your amazing post. I have really enjoyed this blog hop. Thank you so much. I had to laugh about the light under the covers. My cousins and I used to do that with a flash light and play checkers eons ago. Would love the Beam and Read. I'd love to win one of these. Thanks! I so loved the little "lego player" undercover with his BNR!! I was an undercover "book reader" growing up!! Sure would have loved my own BNR back then! I loved the lego player! That is something my son would have done. I am so loving the look of this beam and read. I think the best part is that it gives good light without the heat! I need this! I want to sneak into your kitchen to get that beautiful Terrain Layer Cake, by Kate Spain. Lucky you. I hope you take out more insurance. You may have a lot of quilters trying to break into your house soon. I've had fun this week learning about the Beam N Read and visiting all the new blogs. I've been inspired to do a lot more than hop from blog to blog. Thanks for making all this possible. I've really enjoyed this blog hop. They're so fun and we get to know lots os great blogs and bloggers. What a nice fabric and we have to wait until September, lucky you. Thank you for the change to win the light. Thanks for organizing the blog hop. You did a great job including selecting very thoughtful bloggers to participate. The reviews were insightful and fun to read. There were over 1000 comments combined on the blogs. Thanks to all who commented and congratulations to the winners.